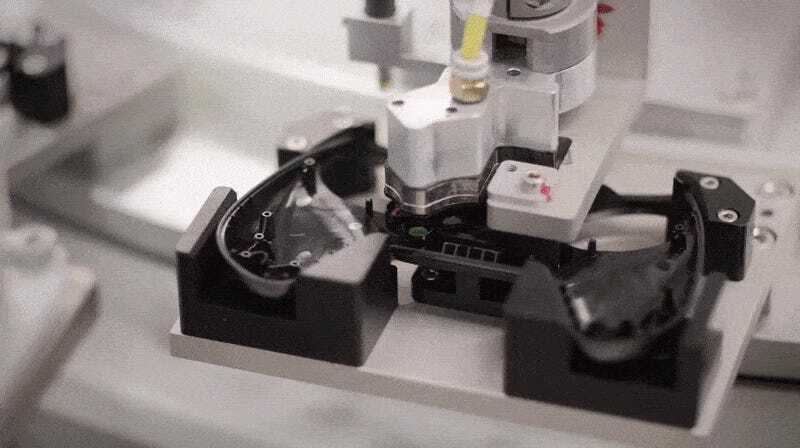 When I talked to Valve about the Steam controller earlier this year, they told me they were manufacturing the divisive hunk of owl-shaped plastic in their own machine factory, one of the biggest in the nation. Here’s what the process looks like. You’ll notice that the Aperture Science logo is stamped all over these cold mechanical hands. So not only will robots take all our jobs, but they’ll also force us to do tests until we die. But hey, at least we can pick which button on the controller makes us jump. Valve also discussed some of the upcoming Steam controller features they’re working on in a new post—things like support for non-Steam games and the ability to easily take your controller configurations with you on the go. I’ll be sure to take those features for a test and report my findings once they’re available.